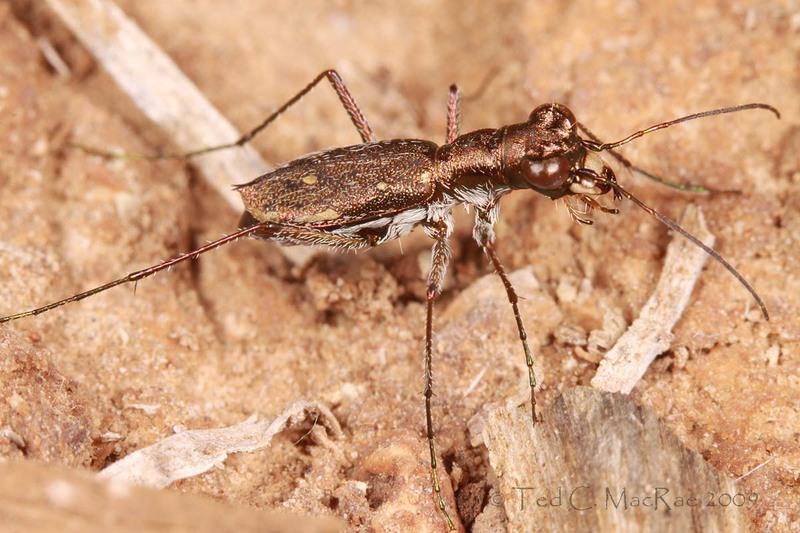 From Revisiting the Swift Tiger Beetle – Part 1 (June 30). A decent enough photograph, especially considering that I’d had my camera for about a month when I took it. However, the discovery of robust populations of this formerly rare and enigmatic species throughout northwestern Oklahoma (and later also in northwestern Missouri) was the most significant find of the 2009 field season, and this photograph is the best capture of that moment. From Overlooked, needle-bellied, thick-headed fly (Aug 14). One of my first good “black background” shots. The white tip of the abdomen compliments the white flower stamens against the background. 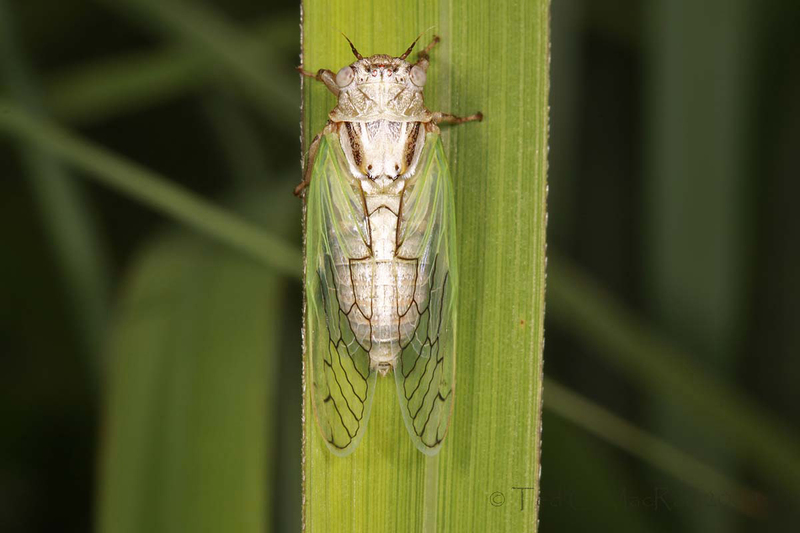 From North America’s smallest cicada (Aug 4). So many different shades of green with white frosting on the bug’s body. I tried taking this shot in portrait and it just didn’t work—I liked this landscape shot much better. From The “obscure” Dicerca (June 19). Sparkling and gaudy as specimens in a cabinet, the coloration of many jewel beetles actually helps them blend almost perfectly with the bark of their preferred tree hosts. 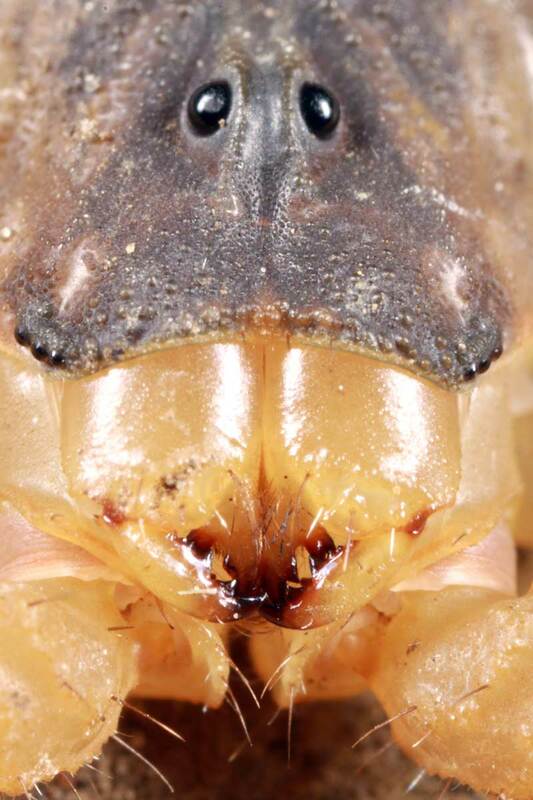 From Anatomy of a Tiger Beetle Larva (Oct 22). 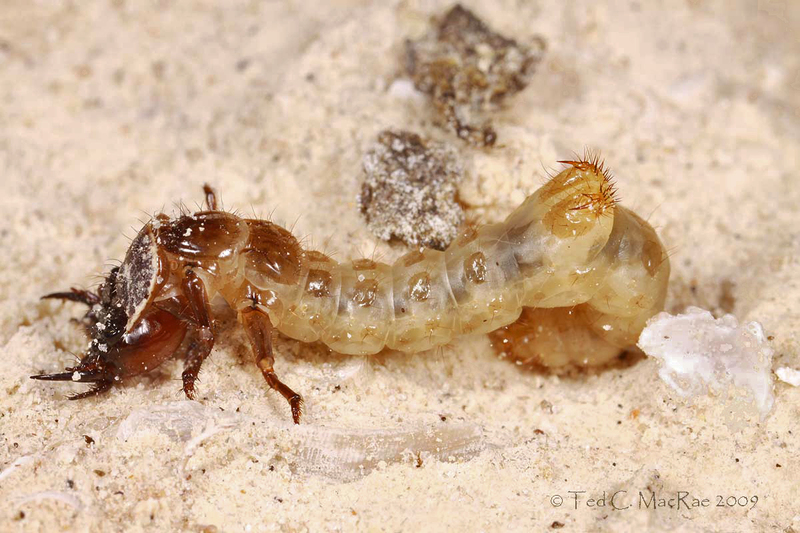 “Otherwordly” is invariably the first word that comes to mind when someone sees a tiger beetle larva for the first time. I was lucky enough to get this one in profile with a nice view of its abdominal hump and its curious hooks. 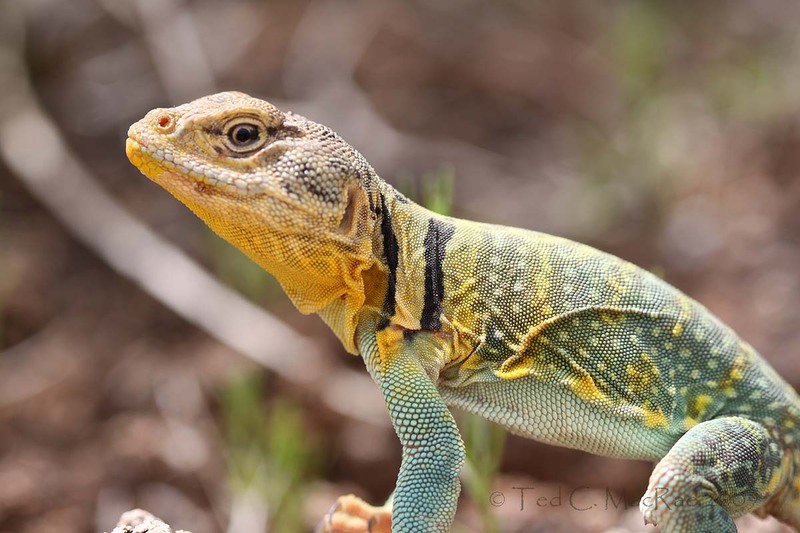 From North America’s most beautiful lizard (July 10). A simply spectacular lizard—all I had to do was frame it well and get the flash right. 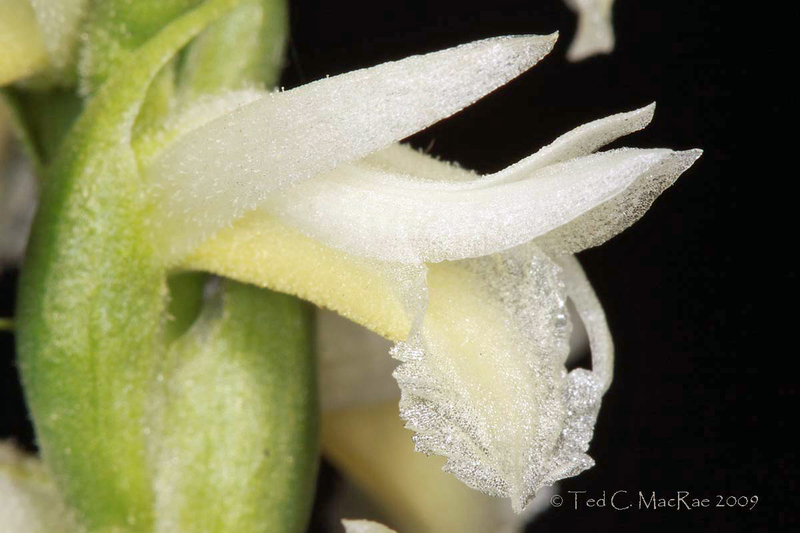 From Great Plains Ladies’-tresses (Dec 7). Few flowers are as photogenic as orchids, even native terrestrials with minute flowers such as this one. I like the frosty texture of the lip and the starkness of the white flower on the black background. 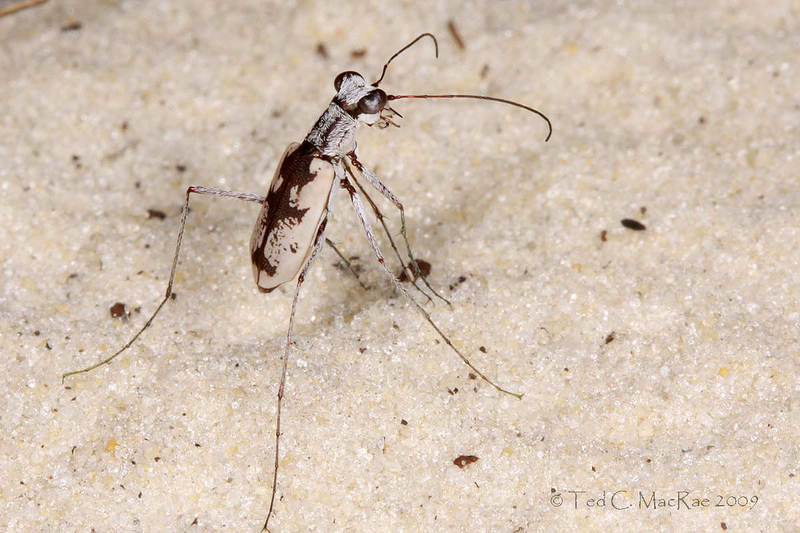 From Tiger Beetles Agree—It’s Hot in Florida! (Dec 18). I chose this photo for the classic “stilting” and “sun-facing” thermoregulatory behaviors exhibited by this tiger beetle on a blistering hot day in Florida. 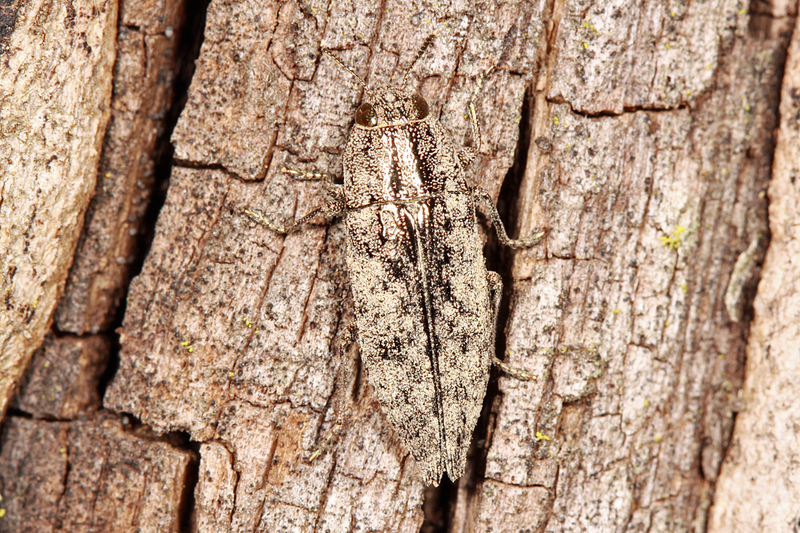 From North America’s longest insect (Aug 21). I haven’t tried a whole lot of super close-up photographs yet. I liked the combination of blue and brown colors on the black background. From Sand Harbor Overlook, Nevada (March 23). My choice for “best landscape” again comes from Lake Tahoe. This is not a great photo technically—I was still using a point-and-shoot and had to deal with foreground sun. However, none of the other photos I took during my March visit to the area captivate me like this one. I like the mix of colors with the silhouetted appearance of the trees on the point. This entry was posted in Apidae, Arachnida, Asilidae, Cicadidae, Cicindelidae, Coleoptera, Conopidae, Diapheromeridae, Diptera, Hemiptera, Hymenoptera, Phasmida, Reptilia, Scorpiones and tagged arachnids, beetles, behavior, Botany, crypsis, entomology, Florida, immatures, insects, jewel beetles, Lake Tahoe, landscapes, Missouri, nature, Oklahoma, photography, predator avoidance, reptiles, science, tiger beetles. Bookmark the permalink. 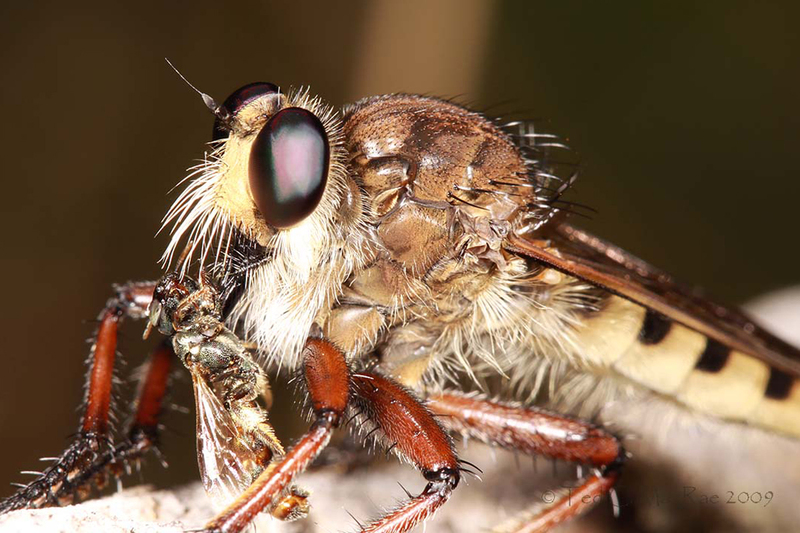 These were all great photos, but the Robber Fly shot takes the cake- Wow! Simply stunning. Thanks for a great year. Hi Alex, thanks for tagging along. I hope to provide a true photographer’s “best of” at the end of 2010. I suppose I see why the Sand Harbor Overlook isn’t great technically, Jeffrey pine on the left blurry and skyline overexposed, but since the eye is drawn to the dancing pines on the point, I think these ‘defects’ actually help the composition. Very nice, and looks almost tropical compared to my walk into work this morning under a blue moon and ice fog. Thanks for the Stylogaster too. I recently sat through what might have been an interesting talk on the molecular phylogeny of some flies where the Stylogastrinae were a problematic group, but the talk was not well illustrated and I had no idea what the animals looked like. Flies are surprisingly interesting, but the Centuroides is still my favourite. Hi Dave. It’s interesting you mention the “tropical” feel of the Lake Tahoe photo, as that is how it always struck me – something about the color of the water. I’d never even heard of stylogastrines when I saw took this photo. The coleopterist in me hates to admit it, but flies really are pretty cool. Just beautiful Ted. Thanks for sharing them, and have a Happy New Year! Thanks, Beau. A Happy New Year to you and yours as well! I have about as much time at it as you, but not the equipment, so while I’m moderately happy with my photos, I can only wish to produce images as good in the macro realm. PS. The bee genus is Ceratina. Equipment is half the battle, persistence and a desire to improve are the rest (assuming a modicum of talent). I’ve seen great photos taken with modest eqipment – yours are among them. p.s. Ceratoma corrected to Ceratina – a coleopterist’s lapsus calami if there ever was one 🙂 At least I had it right in the original post. You have arrived my friend! 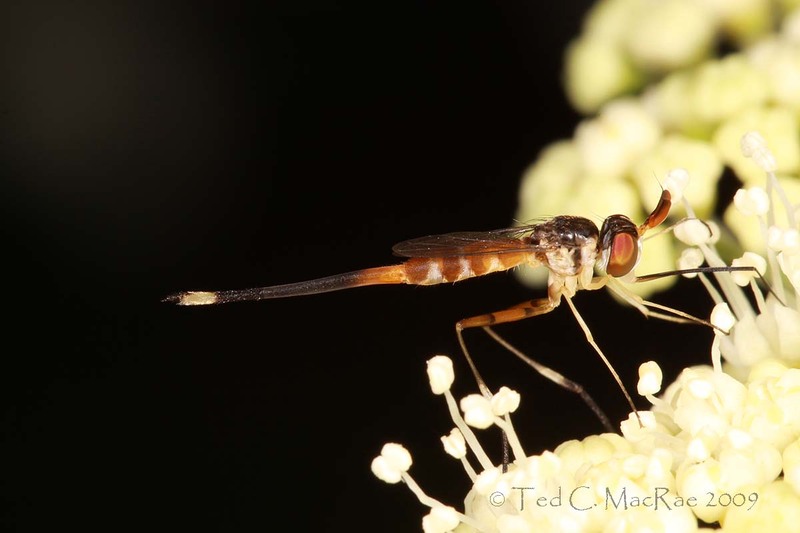 These photos are beautiful and indicate the progress you have made as a macro photographer. My favorites are the robber fly and the arachnid! Keep up your great work. It will be hard to beat these in 2010, but somehow i think you will do it! Hi, Henry. I don’t know if “arrived” is the best word, but I can at least see the door. Thanks for your kind and supportive words. There is a bit of a learning curve in adjusting to new equipment, but I’ve always thought you’ve posted great photos. As soon as I scrolled down to the last photo, I immediately recognized it as Tahoe. It’s got such a distinctive feel! And I would be willing to bet that that photo was taken somewhere in the northeast section of the lake – that area always had the most gorgeous, crystal-clear, tropically blue-green waters. 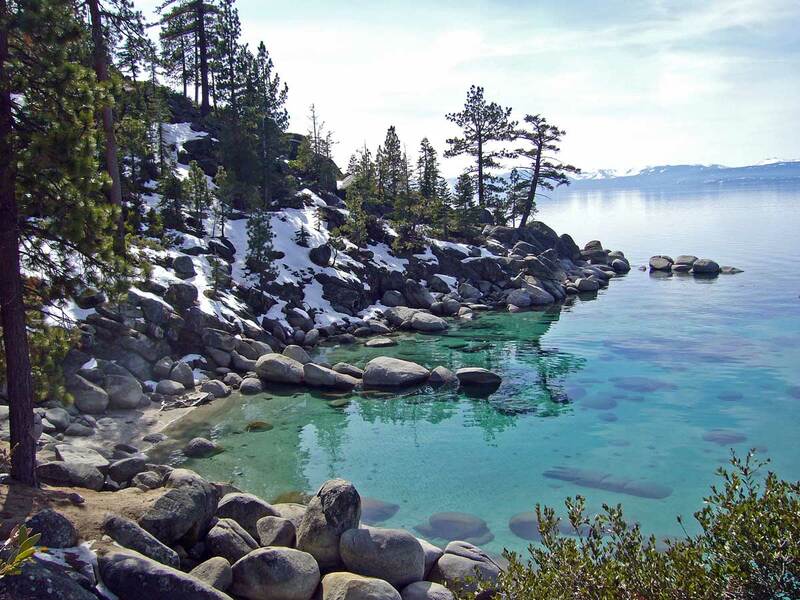 You nailed it – Sand Harbor is just south of Incline Village on the northeast shore. It’s amazing how different and unique the different shoreline areas are from each other. Thanks for the nice compliment. I’m dedicating 2010 to gaining a deep understanding of lighting and how to effectively use my flash and making use of better diffusion techniques. They’re all lovely, but I’m grooving on the Dicera pic…I love good cryptic photos! Your work is inspiring to this would-be photographer. Good luck with the macro photography – I’ll be anxious to see what you come up with. They’re all fantastic shots, Ted! I don’t think you give yourself enough credit when it comes to your photography (yes, this is the pot calling the kettle black because I’m my own worst critic as well). What a fun trip through the year. Promachus hinei has to be my favorite. With prey! And they’re such entertaining predators to watch. Nothing’s too big to chase–or too far away, at least until it becomes clear they’re not going to catch the airplane. Thanks, Jason—you’re too kind. I enjoyed having you along for the ride this year. I think the only predator more impressive than a robber fly that I’ve personally witnessed was a European hornet (Vespa crabro). A friend and I were walking a trail and scared up a large bandwinged grasshopper. Boom—the hornet came out of nowhere and tackled the grasshopper in mid-flight, both tumbling to the ground in a writhing, struggling mass. 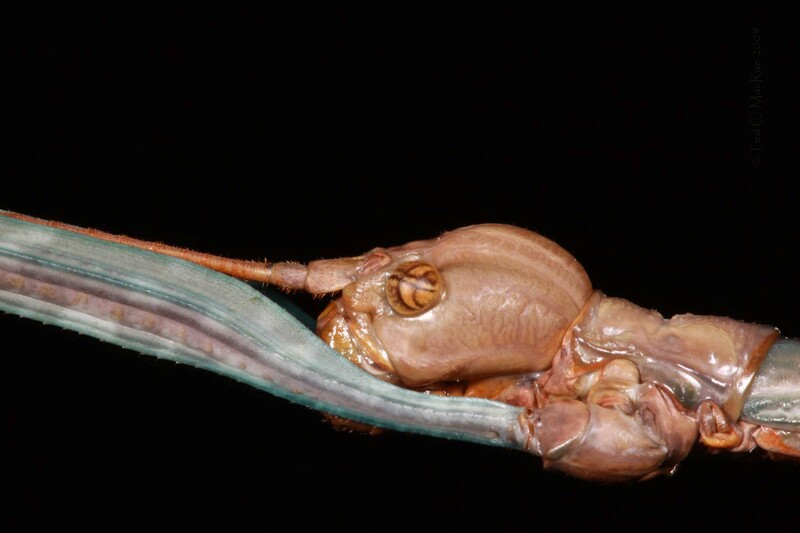 The hornet repeatedly stung the grasshopper until it stopped kicking and began butchering it with its jaws—cutting off all the legs and wings with machine-like precision before separating the head and abdomen from the thorax. It ate the head right there on the spot (spoils to the victor), then grabbed the thorax and flew off. My friend and I just stood there watching in open-jawed amazment, and I turned to him and said, “I bet that thing comes back for the abdomen.” So we waited a few minutes, and sure enough it came back, buzzed around us in a slow, sinking spiral until it located the abdomen, grabbed it with its frong legs, and slowly lifted off carrying the hefty prize. Spectacular! These are beautiful images Ted, great choices to recap 2009. I would be hard pressed to pick a favorite, they are all equally splendid. I love the scenery shot, but the pretty little cicada is great too…it is a dilemma. I look forward to 2010 and all the pretty things you come up with. Thank you, Shelly! I like something different about each one, so it would be hard for me to pick among them as well. It would have been hard for me to narrow down much further than these 12. What a wonderful collection, Ted. I enjoyed them all – especially the Best Arachnid, Best Predator, and Best Beetle. Looking forward to 2010 photos! Still, it looks like the scorpion and robber fly are running away with it.